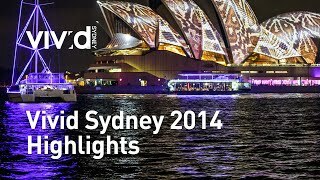 Southern hemisphere’s stunning light festival, Vivid Sydney, is all set to dazzle Sydney again! Transforming the harbour with a creative canvas of lights, music and ideas, Vivid Sydney is best enjoyed aboard a Vivid Sydney dinner cruise. Choose to go on a Sydney Showboat Vivid dinner cruise on any day between from 24 May to 15 June and add some glamour to your night! With ringside seats to Vivid festivities on Sydney Harbour, you’ll enjoy a two-course seated and served deluxe dinner and a cabaret show performed by an all-Australian cast! You can also stroll the wrap-around balconies of this authentic paddlewheeler for unobstructed views of Vivid light displays on the Opera House and Harbour Bridge. With restaurant quality dinner, a stunning show and the Vivid Sydney experience, the Showboat dinner cruise promises a memorable evening out on the harbour. Book Now to get the best Early Bird deals!